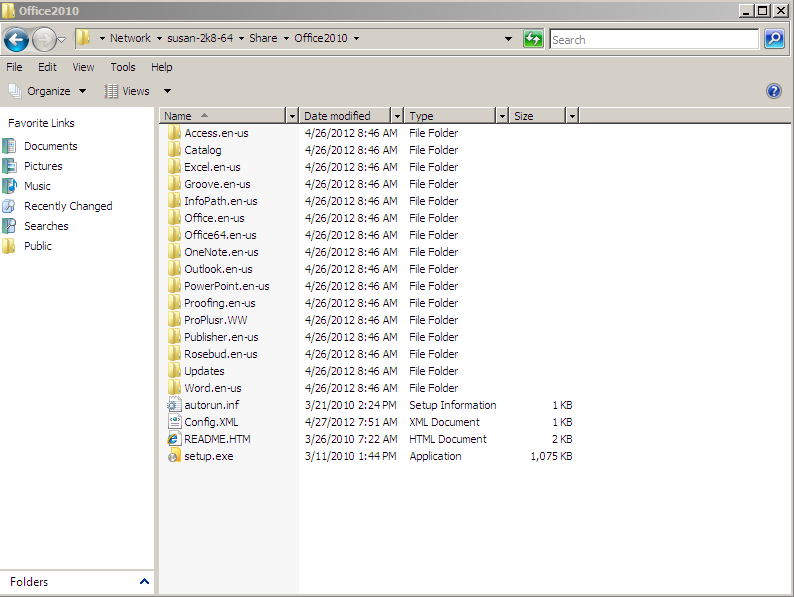 In order to deploy Office 2010 to remote offices taking advantage of Prism Suite's Distribution locations there are some specific settings that need to be set to insure that deployment goes smoothly. Please be aware that the way that the task talked about in this article will only work for machines that are installing this task from a Distribution location. If you have machines that are not members of any distribution location then you will need to create a second task for them. 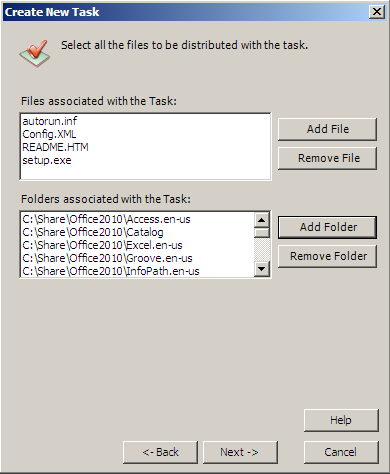 *See the related articles section for information about how to create a task to install Office 2010 that are not members of a distribution location. 4. 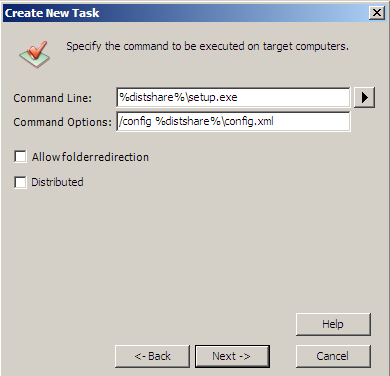 Finish creating the task and wait as Prism copies them to an internalized location that the Distribution Agent for the Distribution location can copy them from. 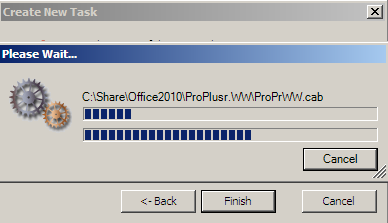 *Note: You might need to edit the properties of this task after this phase and add a “runas” user for this task to run as due to UAC being turned or if your users don’t have local admin privileges. 5. Give your distribution location(s) enough time to copy the “content” of the distributed task from the Prism server to itself or its local network storage location. This time will change depending on what the speed of the connection between your offices is, as well as if you’ve set any settings to restrict the hours at which “replication” can happen.